A longstanding debate exists in both academic literature and popular culture about whether non-informative marketing tactics are manipulative. However, given that we tend to believe that some marketing tactics are manipulative and some are not, the question that marketers, their critics, and consumers need to ask themselves is that of how to actually determine whether any particular marketing tactic is manipulative and whether a given manipulative tactic is, in fact, immoral. 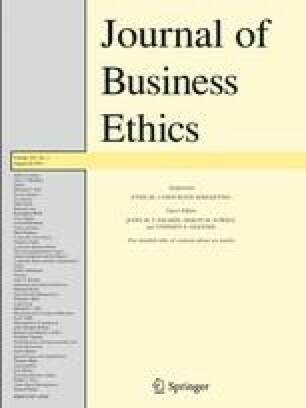 This article proposes to operationalize criteria that can be used by marketers for making such determinations and attempts to provide some clarification toward our under-	standing of the concept of manipulation and the conditions for the moral acceptability of manipulative marketing practices. It argues that a marketing tactic is manipulative if it is intended to motivate by undermining what the marketer believes is his/her audience’s normal decision-making process either by deception or by playing on a vulnerability that the marketer believes exists in his/her audience’s normal decision-making process. Such a tactic is morally objectionable on several grounds, which make it morally impermissible unless outweighed by sufficient “redemptive” moral considerations. Federal Trade Commission: June 3, 2004, ‘KFC’s Claims that Fried Chicken is a Way to “Eat Better” Don’t Fly’, http://www.ftc.gov/opa/2004/06/kfccorp.shtm. Gogoi, P.: October 9, 2006, ‘Wal-Mart’s Jim and Laura: The Real Story’ Businessweek.com. http://www.businessweek.com/bwdaily/dnflash/content/oct2006/db20061009_579137.htm. National Public Radio: March 6, 2008, ‘Airborne Settles Suit over False Claims’, http://www.npr.org/templates/story/story.php?storyId=87937907. Shin, A.: December 12, 2006, ‘FTC Moves to Unmask Word-of-Mouth Marketing’, The Washington Post, http://www.washingtonpost.com/wp-dyn/content/article/2006/12/11/AR2006121101389.html. 1.USC Levan Institute for Humanities and EthicsLos AngelesU.S.A.